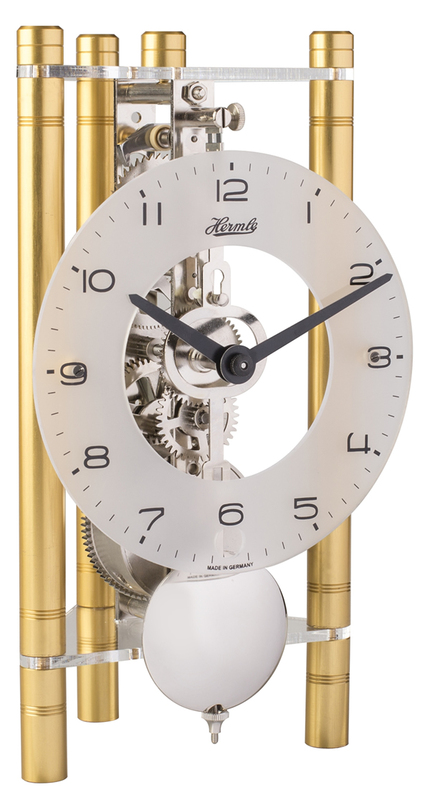 Puristic design table clock with anodised aluminium pillars and mechanical 8-day skeleton movement in different colors. This model when viewed from above is in triangular form. Click here to view the Hermle 23025-500721 Options and Prices page.